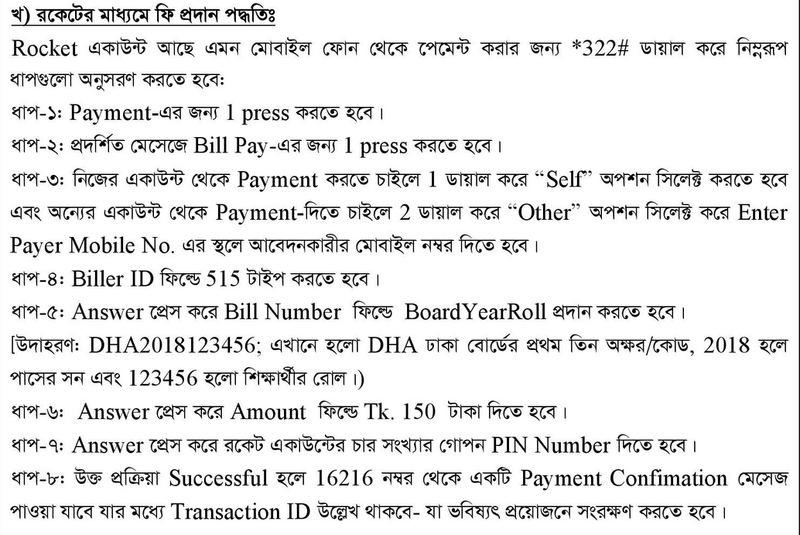 HSC Admission SMS System by Teletalk. 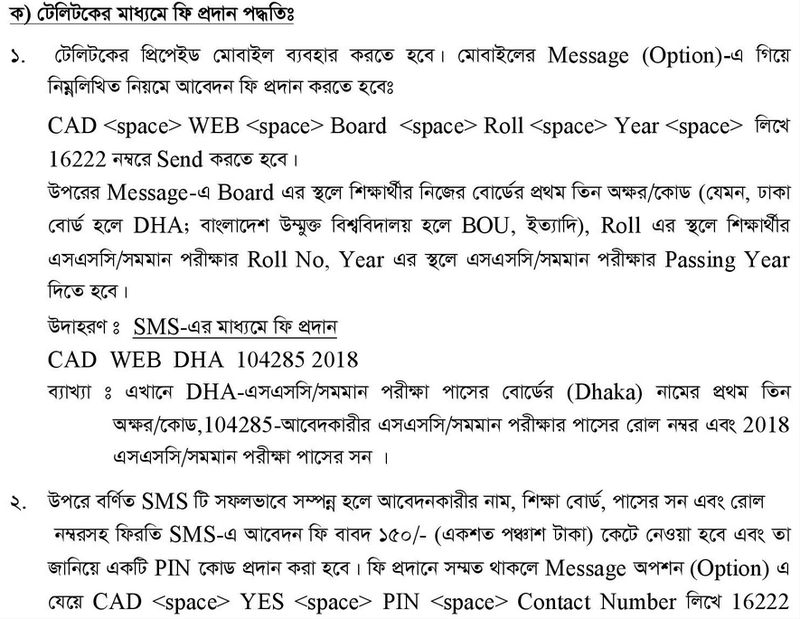 XI Class Admission SMS System by Teletalk Bangladesh Ltd. After the ending of your SSC level recently you are now heading towards the new dream of your life. A few days later, the HSC admission process is going to begin. You must be wondering how to complete your admission in the simplest process. The education ministry has introduced the HSC Admission SMS System considering your concern. There will be no need to go to college anymore to get admission. You would be able to complete your college admission process by sending SMS from Teletalk SIM sitting your home. The HSC Admission SMS System is also quite easy. However, if it seems difficult to you, then we are there to offer help. Today we would like to discuss how to apply for HSC admission sending SMS. If you follow our guidelines then it is going to be easy for you to do everything by yourself. We will explain the whole process of each step in details from the beginning to the ending. We want to be the part of your new colorful dream. That is why we admit this hard work of writing for you. Then why should we delay, let us start the process of HSC admission through SMS. Many people find it as a complex process in applying through SMS. Actually, it is quite a simple job if you understand everything. Even then, those who do not understand the matter, we are here to make you understand it more easily. Hopefully, there will be no problem for anyone to apply through SMS. In the HSC admission SMS system, you can apply sitting your home so many people will be able to save their precious time and money. So, we will now divide the entire process and then discuss it. So let us get started then. 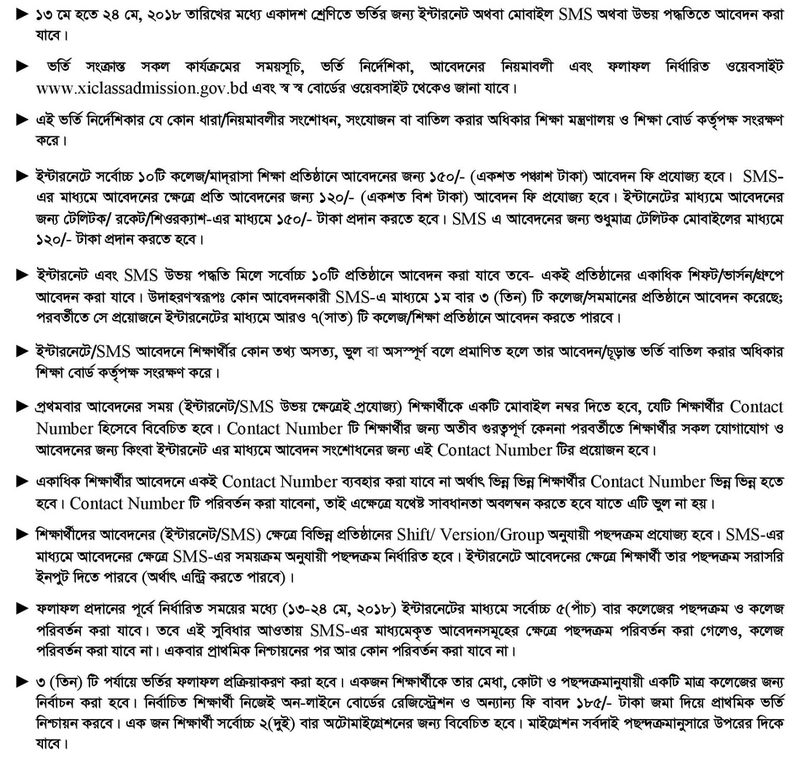 See HSC Admission Circular 2018. In order to apply through SMS, you will have to have a Teletalk SIM initially. You cannot apply through other operators SIM. So collect a Teletalk SIM initially. How to Apply HSC Admission by SMS? The XI class admission SMS system is very easy. You just have to go through a couple of steps. At first, you need to go to the message option of your mobile phone. Then slowly type CAD <space> College / Madrasha EIIN <space> First 3 Letters of your Board <space> SSC Roll Number <space> Passing Year of SSC / Equivalent Exam (4 Digit) <space> SSC Registration Number <space> 1st Letter of Shift <space> 1st Letter of Version <space> Quota Code (if Applicable). Then send it to 16222. Here is an example. CAD 1245 S Dha 543278 2018 156423 D B (F if Applicable). So do you still think XI admission through SMS is difficult? Then let us explain each step separately. CAD: This is the primary body code of SMS. This means college admission. It has to be typed exactly the way it is HSC Admission SMS System 2018. Now the second step of SMS will be typing the EIIN of the college or institution where you wish to get admission. For that, you have to know the EIIN code of the college or institution beforehand. 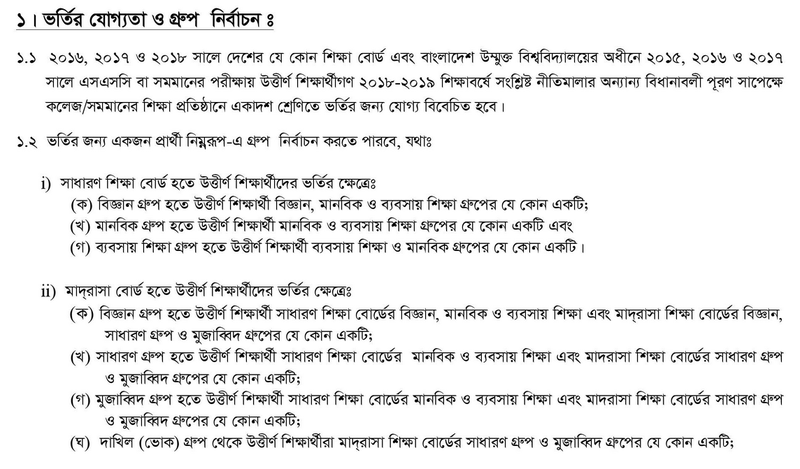 To get the EIIN code of all the colleges and Madrashas of all over Bangladesh. To apply through XI admission by SMS, you will need to type the first letter of the group in the next step. That means you need to type the first letter of the group to which you want to be admitted in HSC. If you wish to admit in science then just type S, if business studies then type B and if humanities then type H.
After writing the group in the XI class admission SMS system, you have to type the board name from which you have passed. In this case only the first 3 letters of the board you have to type. Here all the codes are given for everyone to understand easily. You will then need to type the roll number of SSC examination. We hope you can remember your own roll number. If you cannot then there is no problem. You will find it in your admit card. The roll number needs to be typed exactly the way it is in terms of digit numbers. In the next step, you have to write the year when you have passed your SSC. Generally, almost all the students have passed in 2018. However, the candidates passed in 2016 can also apply for admission. In this case, you have to write the passing year in full 4 digits. For example 2018. It cannot be written like 18. At this stage, you need to type the SSC registration number. If you see your admit card or registration card, you will get this number. Type as many digits as in the admit card or registration card. You have to write here which shift you want to be admitted. For example to get admission to morning shift you will need to write M, for day shift you will need to write D and you will need to write E for the evening shift. If there is no shift, then you have to type N.
At this step, you need to type in what version you want to study. You have to type E for the English version and B for the Bangla version. Then if you do not have the quota, send it to 16222. This applies only to those who have the quota. Those who have quota are required to enter the specific quota code. Then you need to send it to 16222. Here is the quota code for your convenience. SMS Confirmation: Although you have sent SMS but your application process is not finished yet. Later you will have to send SMS 1 more time to confirm that.. After you send the SMS, Then Teletalk will reply you a message with a PIN. Save this PIN. You will then need to SMS again to confirm your payment. Now go to your message option and type: CAD <space> Yes <space> PIN <space> Contact Number (Any operator number would be ok). Then send it to 16222. For example- CAD Yes 6743 01781907333. A total of TK.120 will be applicable for each SMS. Each SMS will be valid for applying to only one college. If you want to apply for more than one college then you will have to SMS again following the same procedure. We are going to describe the whole structure for your perfect understanding. CAD > College/Madrasha EIIN > First Letter of Desired Group > First 3 Letters of your Board > SSC Roll Number > Passing Year of SSC / Equivalent Exam (4 Digit) > SSC Registration Number > 1st Letter of Shift > 1st Letter of Version > Quota Code (if Applicable)>16222. Hopefully, we have been able to provide you adequate guidelines about the HSC Admission SMS system. Even if anyone of you can apply for admission after following our guidelines, then our hard work will be paid off. Many find it a bit difficult to understand if we describe you the whole process together. That is why we have divided it into different points for your better understanding. So it is supposed that no one has confusions now regarding this. Wish all the days of your college life would be more colorful. Let your future be enlightened. This is the end here for today.